Temptation surrounds you and can veer you off of your path quickly, leaving you not only drained of energy, but also feeling disappointed and defeated. To avoid these negative feelings, it’s crucial to be proactive about your meals for the work week. 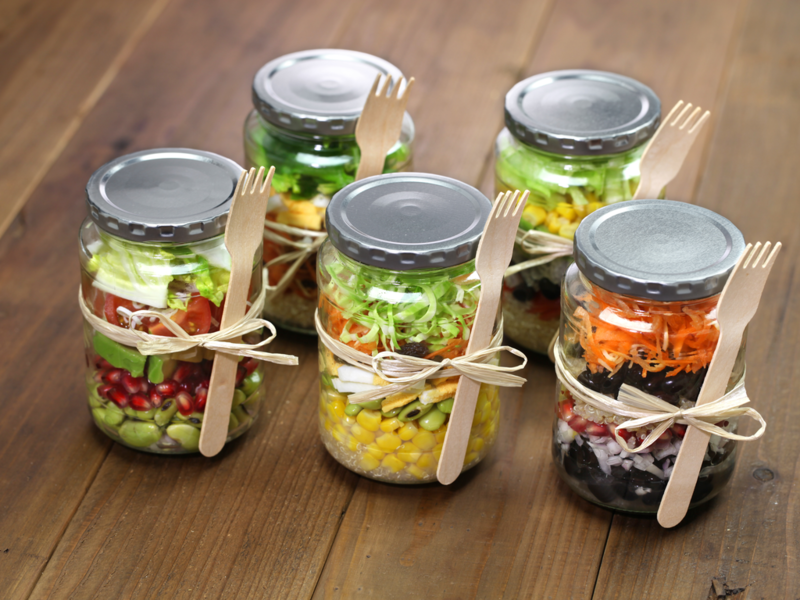 The best way to ensure you are fueling your body well is to prepare your lunches, but you might have no idea what to make or feel that’s too time consuming. After all, do you really need one more thing to add to your to-do list? I hear you loud and clear. I’m going to share with you some of my best and easiest lunches you can whip up in mere minutes so you can enjoy healthy lunches all week long. A Quinoa Bowl. Quinoa (pronounced keen-wah) is a food that is easy to prepare, very nutritious and that is incredibly easy to take to work with you. I often prepare a larger batch than I need for one meal so that I can use the extra for additional meals. The quinoa would be the base of your meal, and you can add anything you want to make your bowl delicious and filling. Vegetables that you enjoy — think of the colors of the rainbow, such as broccoli, zucchini, carrots, orange or red pepper, onion and a sauce of your choice. Lettuce Wraps. Simple enough – toss your favorite chopped veggies and any fitting leftover ingredients from your fridge in a lettuce leaf. Drizzle with a complimenting sauce, wrap it up and call it a day. Another option is to wrap your salad or a meat mixture (chicken, egg or tuna salad) in a collard green leaf, a sturdier leaf. These wraps also pair well with soup. These are just a few examples of all the delicious meals you can quickly prepare at home and take to work without too much of a hassle. Set aside some time on Sundays to prep your meals for the entire week, so you don’t have to wake up extra early on your work days. You could even leave all the meals you created at work so you can grab it during lunchtime. I would love to hear how you put these ideas into action or tweak them according to your own tastes. Try some variations and reply to this email to tell me what you did. Each step you take to incorporate better nutrition provides the building blocks your body can use to refresh, rebuild and move toward wellness.